There’s nothing wrong with signing Amar’e Stoudemire. The Miami Heat will be better for it with him coming off the bench and not playing too big of a role. But the team remains old, and relying on very shaky, which means often injured, foundations. 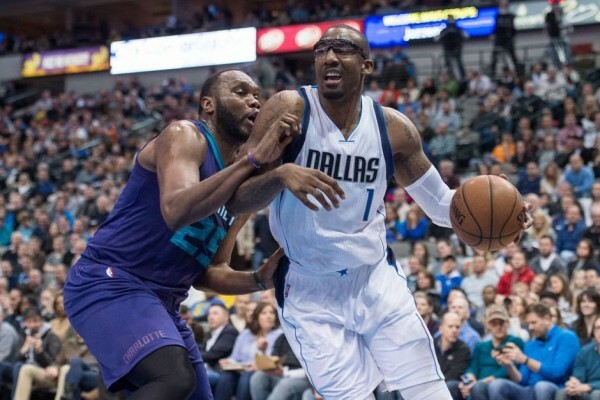 Stoudemire spent last season with the New York Knicks before a buyout released him and landed him in Dallas with the Mavericks. He did what he has been doing these last few years: Scoring quite efficiently from about everywhere, but not getting too many minutes, or looking too happy with his role. Signing a one-year deal for $1.5 million won’t make him a lot happier with his role. The Heat have Chris Bosh and Hassan Whiteside as their big men, and if the two remain healthy (which is far from guaranteed considering all that happened last season), he’s not going to be playing as much as he wants to, although giving him 20 minutes a night max is probably the best way of keeping his knees from falling apart. Dwyane Wade and Luol Deng are on the wrong side of 30. Goran Dragic, another starter, isn’t a youngster either. The Heat, just like last offseason, have themselves a pretty nice team being put together, which can see itself realistically making the conference semifinals. But just like the Mavericks, who have themselves a lot of key players with injury prone written all over them (that and old is the same thing), the Heat are relying on some very shaky foundations to take them back into the postseason in 2016.